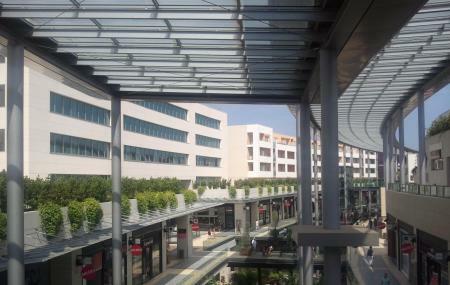 There are large number of shops and boutiques – excellent and fashionable establishments. There are a great number of restaurants you can eat at – check out the ones on the terrace. You can catch a movie at the cinema. Knock over a few pins at the bowling alley. Let your children loose at the playground. There is parking and toilets. The shops and boutiques close at 8pm. Take a taxi or drive to this spot. How popular is Polygone Beziers? People normally club together Ecluses De Fonserannes and Arenes De Beziers while planning their visit to Polygone Beziers. Many shops, many restaurants. Good variety. 3 hours parking cost 5,6 €. It is a shopping mall. Easy access by car, but there nothing special here more than generic stores. The parking garage lets cars drive into the parking, even though not enough spots are available. Finding a parking lot took over 30 minutes. After looking for the parking lot for so long we needed a toilet. The 50 cent charge was not taken by the machine, a big crowd of people had the same problem. Only people with the membership-card had access to the toilets. No personell was available to help out with the problem.